Before you think of getting any credit card, its a good idea to know what benefits are in store for you with it. Some credit cards give reward points, some allow you into luxurious airport lounges while some give awesome deals and discounts. Consider getting the Virgin Money credit card. The reason it is wise to know about all these benefits is that you don’t end up paying for something that you don’t want. One thing is sure, credit cards give you freedom, you can keep track of your spending and there are a hundred and one other benefits you get from credit cards. 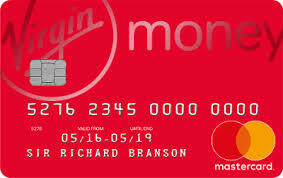 One credit card that might interest you is the Virgin Money Credit Card which was launched in 2006. Virgin Money offers products like this which can offer you good value. When Virgin approves your card, they will grant you a credit limit based on your credit score and what you can afford to pay each month. The card comes with a default Internet transfer- and daily ATM withdrawal default limit. If you want this amount changed or increased, you can call their contact centre. You’ll receive a credit card statement each month with lots of useful information about your card such as when your next payment is due, the list of transactions you conducted and payments- and cash withdrawals made. Interest charges and fees will be based on what activity took place on your card from one statement to the next. You’ll also be able to see what your outstanding balance is. If you lose your credit card which can be frustrating when you’re overseas, there is no need for panic. Virgin Money are available seven days a week on 0861 822273, and if you’re overseas and have lost your card, try this particular number +27 11 501 5050. Replacement cards are issued within 72 hours. People are sick and tired of being charged for every tiny transaction they make. It’s why the Virgin Money Credit Card is so appealing. They don’t charge annual card fees or monthly service fees. You won’t be charged Internet banking fees and you won’t be charged merely for swiping your card at any point-of-sale. They also have a simple structure for deposits, withdrawals, enquiries etc. If you pay your full outstanding balance by the due date, you won’t be charged any interest whatsoever. We can’t go into all the pricing information, so as a card holder, pay attention to the different rules that apply to the card. The Virgin Money Credit Card certainly represents the finest in credit cards and it’s wise not to ignore this card when weighing up your credit card options.